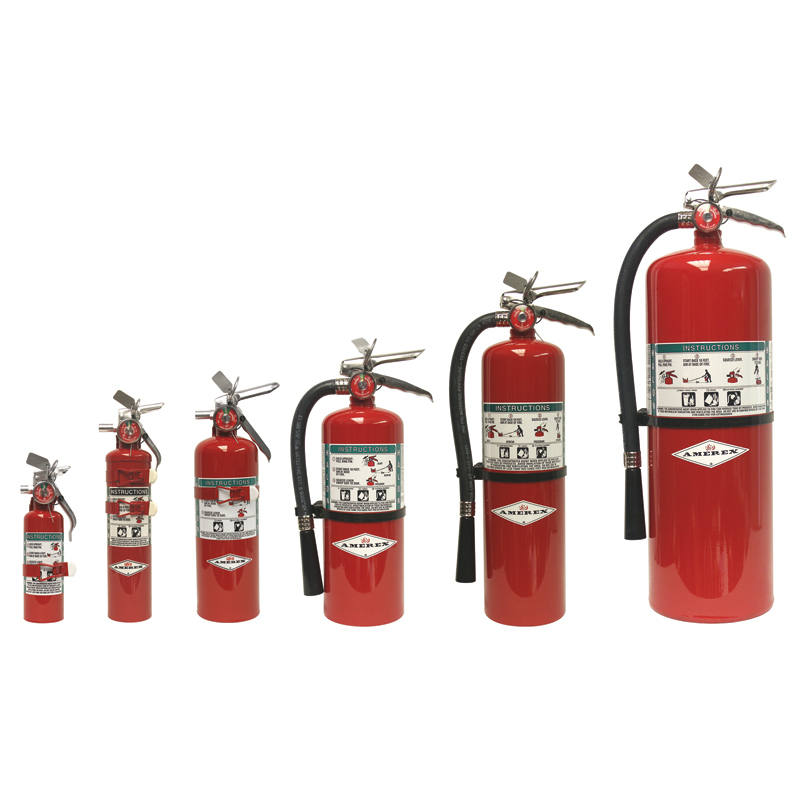 Halon Fire Extinguishers are intended to meet your fire suppression needs for specific locations and certain types of combustible materials. 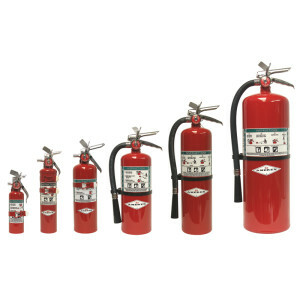 The most common forms are Halon 1211, which is used in portable halon fire extinguishers and Halon 1301, which is used in automated fire suppression systems. All Florida Fire Equipment services and sells both Halon 1211 portable fire extinguishers and Halon 1301 fire suppression systems. We will do an evaluation of your facility provide you with specific recommendations as to what type is best suited for your location. At All Florida Fire Equipment, our only business is the protection of your business, home or boat from fire. It’s what we’ve been doing since 1999, and it’s what we’ll be doing in 2039. We offer a quality service at a fair price, and we are proud to stand behind what we sell and service. Halon 1211 is the streaming agent used in the portable fire extinguisher and has a range that is limited to around six feet. Halon 1301 is used in automated and fixed suppression system applications as a wide area flooding agent. It is the agent commonly used to suppress a fire in a computer server room. For those of you that like details, please read on for a detailed description of how halon works to put out a fire. For everyone else, you can rest assured that at All Florida Fire Equipment we know everything you need to know about halon fire extinguishers and suppression systems and can advise you of the best options for your fire protection needs. If you are anywhere in the Tampa, St. Petersburg, Clearwater, Lakeland, Largo, Sarasota, or Bradenton areas, we are just a phone call or email away. Call us at 727-525-5950, or email us at service@allfloridafire.com. If you prefer, fill out our easy Contact Us form, and we’ll reach out to you. Both forms of halon are a halogenated gas. A chemical or gas mixture, such as halon that contains halogen atoms (fluorine, chlorine, and bromine) is considered to be halogenated. Fluorine, chlorine, and bromine form covalent halides when bonded to carbon. A covalent halide is not electrolytic which is why fire-extinguishing agents containing halides (Halon 1211 and Halon 1301) are ideal for protecting areas where high-end electronics are located. Fluorine, bromine, chlorine and carbon make up Halon 1211. Fluorine, bromine, and carbon make up Halon 1301. The effectiveness of halon is defined by how well it suppresses a fire. Both types of halon have a physical and chemical effect when used to extinguish a fire. The chemical effect halon has on fire is produced by inhibiting combustion atomically. Fire is a chain reaction composed of a fuel source, heat, and an oxidizing agent. Oxygen is typically the oxidizing agent in a fire. When a fire happens, heat causes vaporized fuel to decompose. The process of fuel decomposition produces incomplete combustion and free radicals (volatile, uncharged molecules). Incomplete combustion and free radicals react with the oxygen to excite the fire. The bromine and chlorine atoms found in Halon 1211 work in a catalytic fashion and “use” the free radicals; thus, removing them from the chemical reaction that makes up the fire. The fluorine atoms that are found in both, Halon 1301 and Halon 1211, chemically fuse with the free radicals to impede combustion but are consumed thereafter. The atomic impact halon has on a fire produces the chemical effect. The physical effect halon agents have on fire are temperature reduction and dilution. Temperature reduction happens when halon is introduced to fire because it is a non-reactive gas. When a non-reactive gas like halon is added to a flammable gas like oxygen, it cools down because heat distribution among the area is changed. Dilution occurs when the frequency between fuel and oxygen is changed. Halon is inert but is also a very low temperature when making the transition from liquid to gas. The inert and cold characteristics of halon lower the rate in which oxygen and fuel are reacting; in turn causing dilution. The chemical effect halon has on a fire outweighs the physical effect. It is, however, the chemical and physical effects in conjunction with one another that make Halon 1211 and Halon 1301 arguably the most effective halogenated fire suppressing agent in its class.